Splash around with the Hippo with Calf. 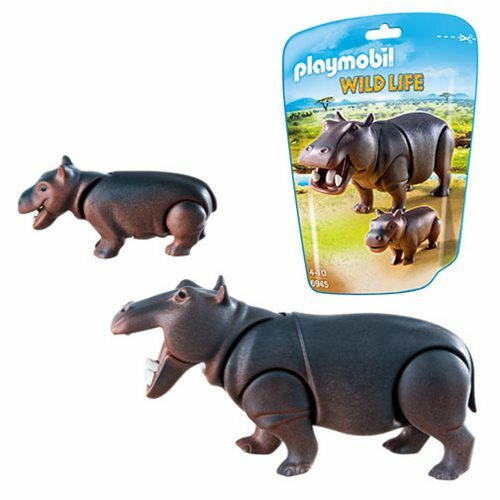 Play with this set on its own or combine with any of the different sets in the Playmobil African Wildlife theme (sold separately.) Recommended for ages 4-10. Warning. Choking Hazard. Small parts. Not for children under 3 years.